Kemper's QuickBooks experts are here to help guide you through some of the exciting new features introduced in QuickBooks Desktop Pro, Premier, Accountant, and Enterprise 2019. The table below lists the new features available in QuickBooks 2019. More detailed descriptions of these features can be found further down the page. Provides real-time visibility of invoice statuses to expedite collections and improve cash flow. Tracks invoice statuses at a glance. 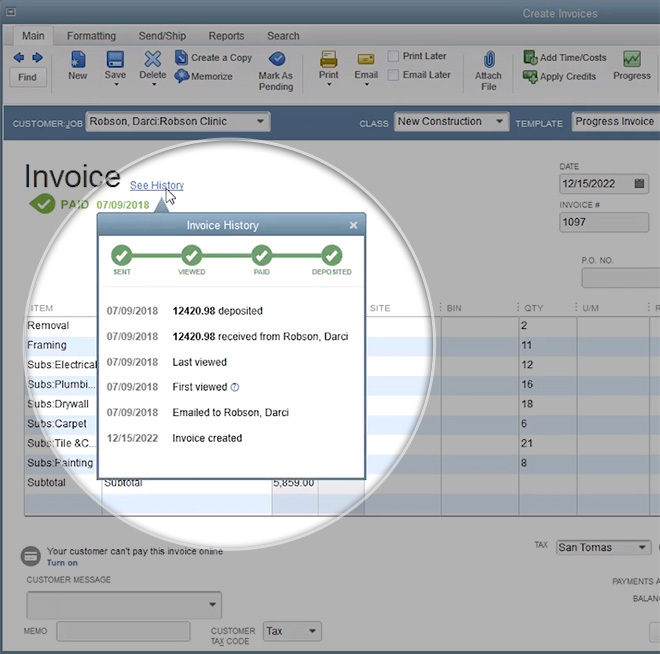 Manage and improve cash flow by quickly tracking invoice status. Simplified one-click transfer of credits across customer jobs for streamlined workflow. QuickBooks allows transfer credits across jobs quickly, easily, and without needing special accounting knowledge. QuickBooks does the accounting in the background so customers don’t have to. 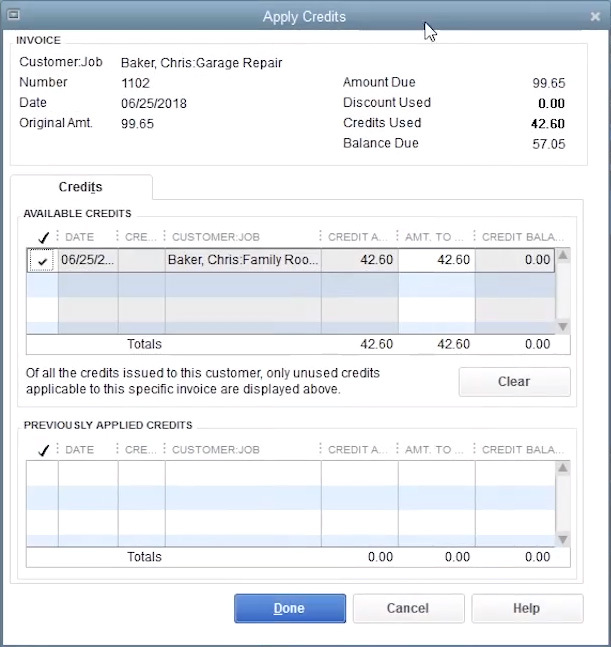 QuickBooks prompts customers when credits are available across jobs as new invoices are created. Provides customers with consolidated view of outstanding invoices from a vendor without manual queries so they can easily manage payments. Easily keeps track of what is owed to vendors, from check to bill pay. Prompts customers to link checks to open bills. When writing a check to a vendor, shows bills open for only that vendor. Enables customers to move QuickBooks from one computer to another in five clicks. 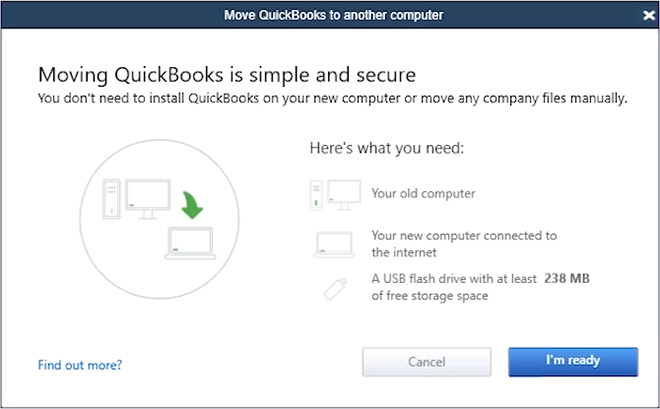 Easily transfer your QuickBooks file to a new computer. 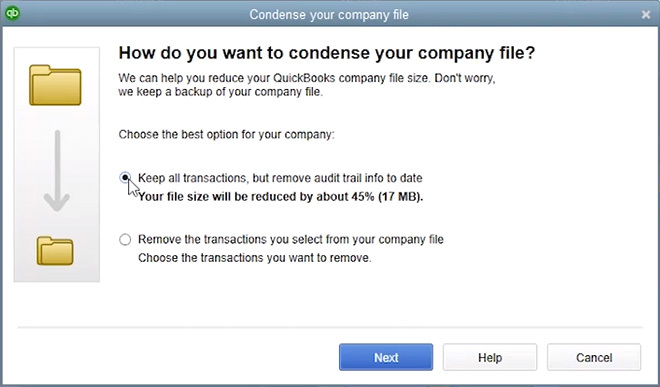 Confidence that the data files transfer reliably from computer to computer where QuickBooks is installed. Allows customers to reduce the size of their company files and help improve file reliability. Reduce file size on your own with confidence, without deleting data. Checks the data before importing and generates a report of issues if the import failed. Facilitates successful imports by validating data beforehand and generating reports to enable fixes before re-imports. The import does not allow erroneous accounts to be created by default. A filter to include/exclude inactive inventory items provides an up-to-date assessment of inventory. Confidence knowing that inventory is up-to-date. Saves research time with inaccurate inventory reports. Reliable valuation reports help you consolidate inventory value for accounting. Provides updated programming to make automatic data backups more reliable and easy to set up. Automatically backup your data with confidence and speed. Have visibility into backup failures so they can be corrected. Provides better access to the tools in QuickBooks for the visually impaired. In partnership with JAWS screen reader, QuickBooks provides clarity for visually impaired customers by announcing window titles and fields as customers hover over or select them. Many links are converted to buttons for easier access for the customer. 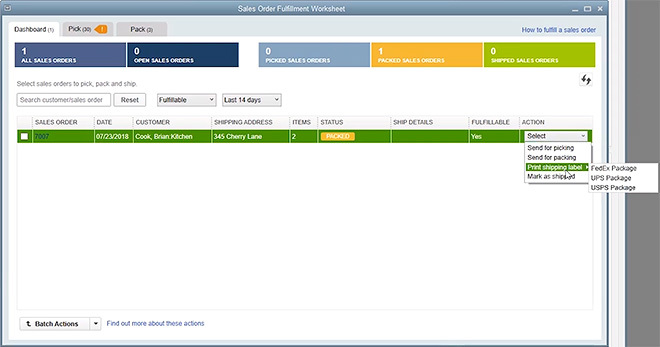 Visibility into all sales order information from a single dashboard for pick, pack, and ship status. Increases speed and accuracy in order fulfillment. Allow picking of partial orders and shipping separately. Provide packing instructions through mobile devices paired with the company account. Integrate with third-party shipping companies (FedEx, UPS, and USPS) to record costs directly into QuickBooks and print carrier-specific shipping labels. Show real-time warehouse updates by providing line-tracking.